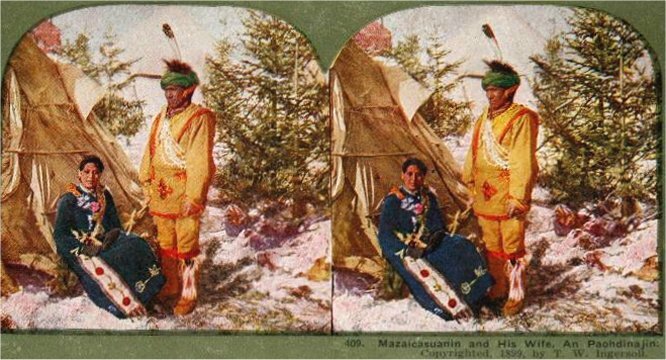 The video above identifies the Native Americans and related peoples of North, Central and South America (and the Caribbean Islands) as the descendants of the Lost Tribes of the House of Israel, according to both Biblical and secular historical accounts. Various scriptures and extra-biblical sources are quote from toward the latter half of the video. The video follows the Northern Kingdom of Israel after the Assyrian captivity. More specifically, it follows the “peaceable multitude” branch of the Israelites that separated themselves from the massive horde of pagan warlike nomads; the Scythians. The file was corrupted while being edited and uploaded so some of the audio/video are out of sync. Despite the flaws, the message should be clearly understood. Video begins at 10 seconds. 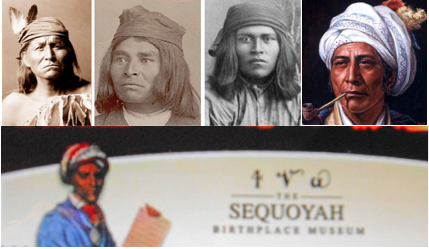 Although the identification of the Native Americans as the bloodline descendants of the Lost tribes of Israel may be new information to some of us, this fact was known and published in times past by many respected sources. “In the early 16th century, Bartholeme de Las Casas became the champion of the Native American Indians, devoting his lifetime to improving the conditions—in the West Indies, Peru and Guatemala. 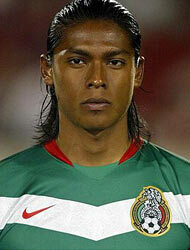 Las Casas wrote: “These Indians can bring near the redemption. If we treat them humanely in this world and convert them to Christianity, we are preparing for the redemption of the Western world in the messianic era. Their conversion is apt indeed, as I am convinced the Indians originate in Ancient Israel. Indeed, I can bring proofs from the Bible that they are of the Lost Tribes.” The association of the Indians with the Lost Tribes was heard again and again. The report by Portuguese traveler Antonio Montezinos some 120 years later aroused remarkable interest. “It was a thrilling journey I took in South America. Now that I am back in Amsterdam, I must share with you some incredible news. There is a Jewish Indian tribe living beyond the mountain passes of the Andes. Indeed, I myself heard them recite the She’ma (the expression of the Jewish faith) and saw them observe the Jewish rituals.” Christian theologians awaiting the Second Coming were thrilled to receive this welcome news. For tradition held that when the Ten Tribes were found, reunited and restored to the Holy Land, the messianic age was close at hand.” – PBS NOVA Online, Where are the Ten Lost Tribes? 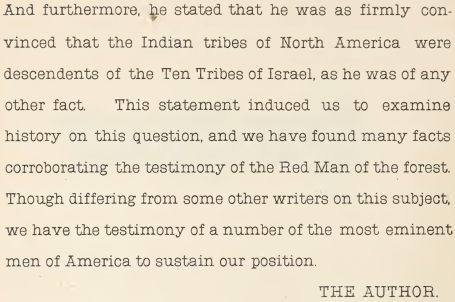 Here are some further quotes to support the assertion that the Native Americans are indeed the descendants of the ‘Lost Tribes of Israel’. This fact was obviously known by many and therefore it is by no means a new or radical idea. 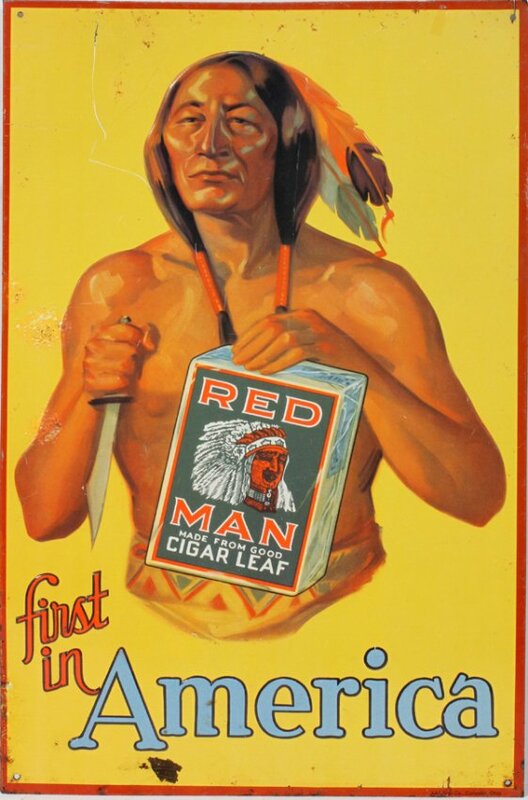 If you listen to the chorus of the following Hip-Hop song, ‘One Little Indian,’ you can even hear the Amerindian in the background chanting, “Hey Ahayah, Hey Ahayah”. Some of the American Indians were apparently still aware of the name that the Most High God gave to Moses (Exodus 3:13-15) on Mount Sinai. 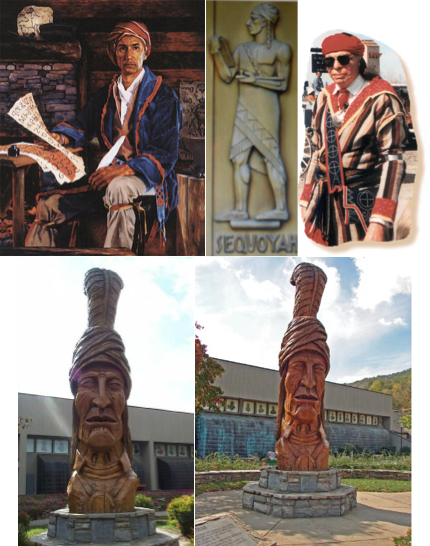 The Native Americans are definitely Israelites. 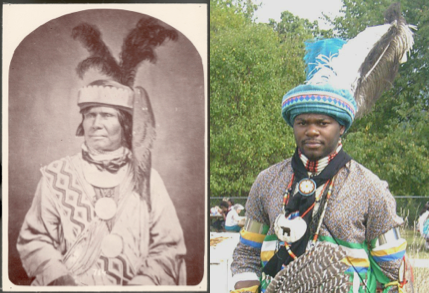 NATIVE AMERICANS ARE RELATED TO OTHER ISRAELITE DESCENDANTS WORLDWIDE. 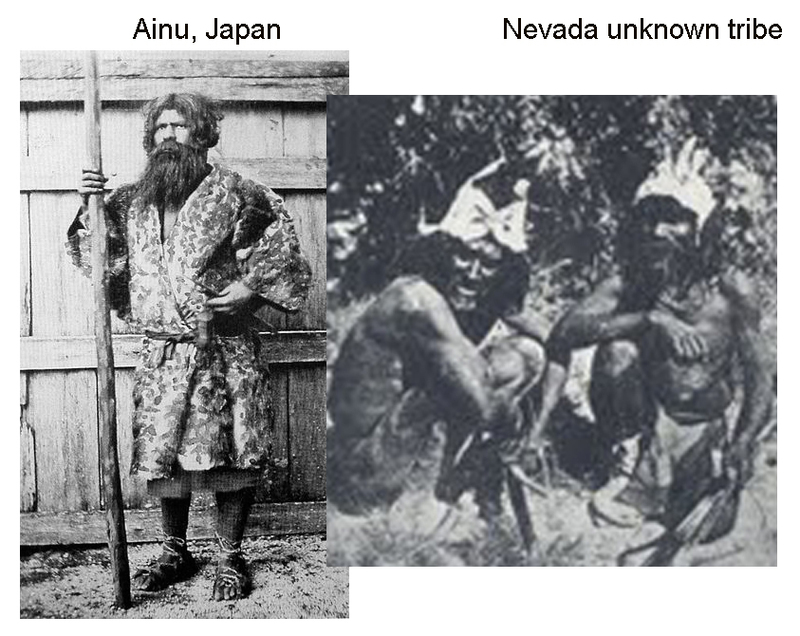 Some branches of the family travelled long distances across seas into the New World (Western Hemisphere) while other family branches remained wandering in the old world (Eastern Hemisphere). 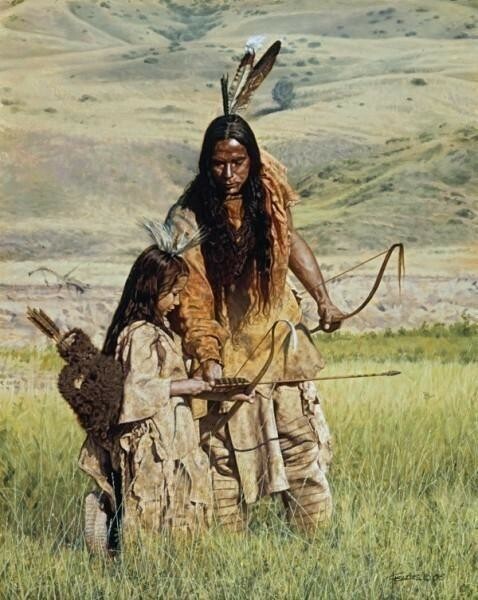 Thus, the Native Americans, who we understand to be lineal descendants of the Israelite tribes have distant relatives in the old world who are now known by many different names. “Straddling the boundaries between Afghanistan, Pakistan and Kashmir lives the world’s largest tribal grouping—the Pathans. All of the 15million Pathans, who comprise some 60 tribes, claim descent from Kish, an ancestor of the Biblical King Saul. Many of them also claim to be them children of the Lost Israelites. The Pathans perform circumcision of the eighth day, wear a fringed garment similar to the Jewish tzizit, light candles on Friday nights and observe food taboos similar to the laws of Kashrut. In South Africa, Zimbabwe and Mozambique, tens of thousands of blacks have, in recent years, declared themselves descendants of one of the Lost Tribes. The Lemba claim to have been cut off from mainstream Judaism hundreds of years ago. They are well-versed in the Old Testament and avoid marriage outside their community. From every imaginable corner of the world theories arise linking different peoples and tribes with the Ten Lost Tribes: the Crimea, the Caucasus, Kenya, Nigeria, Armenia, Persia, Central Asia, North Siberia, West Africa, Peru, South America, Australia, Ireland. 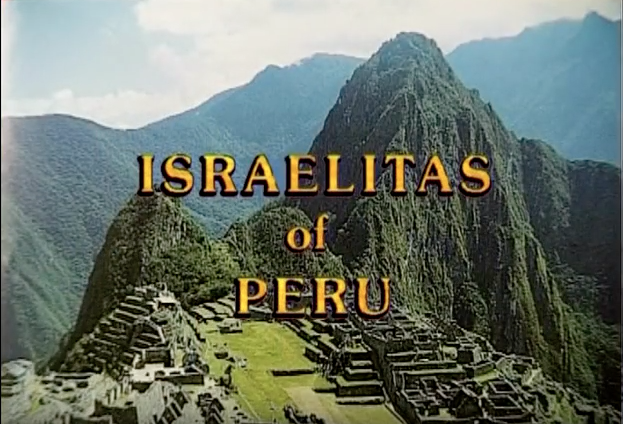 While the evidence may at times seem flimsy, the Jewish elements in these tribal cultures continue to fascinate scholar and layman alike.” – PBS NOVA Online, Where are the Ten Lost Tribes? It is very interesting to note the many similarities between Iran and Mexico especially since we can identify the modern day Mexicans as the Israelite tribe of Issachar. According to the biblical record, tribes of Issachar were placed in the cities of the Medes (2 Kings 17:6 & 2 Kings 18:11) after the Assyrian captivity. Current research confirms the biblical record and people who can trace their descent to Issachar can still be found in Iran. Perhaps there is more that just coincidence to explain the many similarities between Iran and Mexico, including the colors of their national flags. 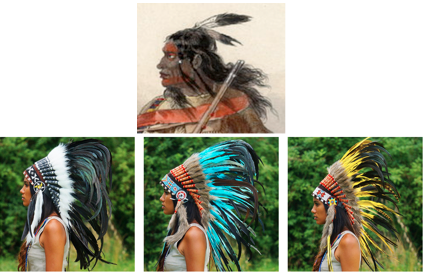 By the way, it must be noted that the Amerind descendants of the ‘Lost Tribes’ of Israel wore the Mitre turban in the New World. This can be deemed as further evidence of their eastern origins and escape from the Assyrian and Median Empires. The ‘Lost Tribes’ in the West (Arsareth) after their escape through the Euphrates River. 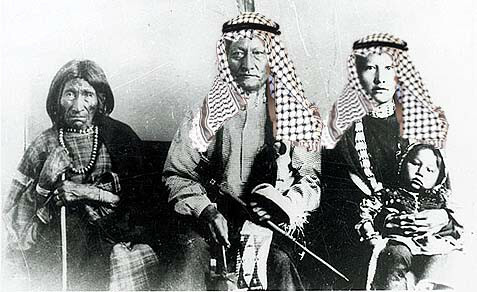 Seminole Indians with turban and feathers. Compare with Mughal Persianate empire’s turban and the Indian wedding turban. 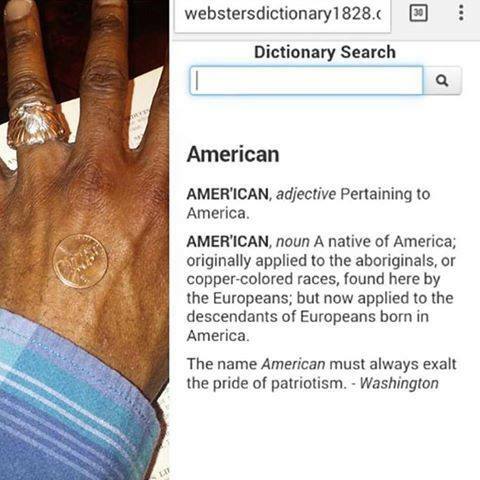 The Amerinds are definitely Israelites from the Northern Kingdom of Israel, who arrived in the western New World from the eastern Old World. 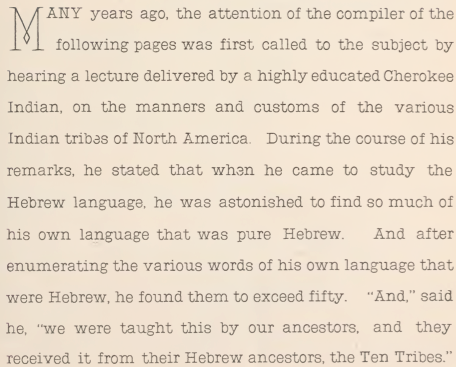 Read on further about the history of the Northern Kingdom of Israel of Amerinds/Latinos in the East. The peaceable tribes of the Northern Kingdom of Israel took council and escaped into the Americas by way of the Euphrates, however, the majority of the other, non-peaceble descendants of the tribes of Northern Israel, remained in the Assyrian and Persian region after the captivity. This group of Israelites became know as the Scythians—and extremely warlike people. Follow the wanderings of the ‘Lost Tribes’ into the East HERE. and it has aided me out loads. I hope to contribute & help other users like its aided me. anyplace, when i read this post i thought i could also make comment due to this good post. not really a lot more well-liked than you may be right now. gaga! Your own stuffs outstanding. At all times take care of it up! to your next post, I’ll try to get the hang of it! you have done a excellent process in this topic! and even I fulfillment you access constantly quickly. this web site conations really nice funny information too. I wonder how much effort you put to create this kind of wonderful informative site. certainly like what you are saying and the best way by which you assert it. Hi there to all, how is all, I think every one is getting more from this web site, and your views are nice designed for new viewers. utilizing? I’m having some minor security problems with my latest website and I’d like to find something more safe. performed an impressive activity and our whole group might be grateful to you. loved surfing around your blog posts. After all I will be subscribing for your rss feed and I am hoping you write again soon!